Müller et al. (2008). 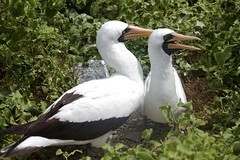 Perinatal androgens and adult behavior vary with nestling social system in siblicidal boobies. PLoS ONE 3:e2460. Müller et al. (2011). 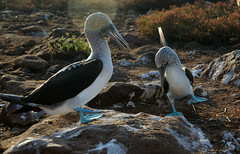 Maltreated nestlings exhibit correlated maltreatment as adults: evidence of a "cycle of violence" in Nazca Boobies (Sula granti). The Auk 128: 615-619. Widom & Maxfield. (2001). An Update on the “Cycle of Violence”. Research in Brief, Washington, D.C.: U.S. Department of Justice, National Institute of Justice. NCJ 184894.